1-1/2 inch length x .120 inch wire, E.G. 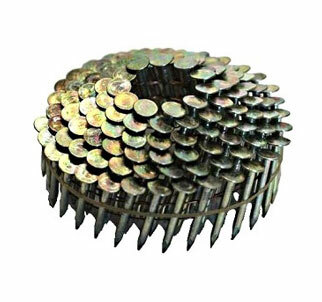 Finish, SMOOTH shank, Coil Roofing Nails, Wire Collated, 120/Coil, 60 coils/box. 7200 Nails/Box. Price/Box.